Do you remember gaucho pants? They were these horrid loose knit pants with wide legs that ended mid-calf and were all the rage in the mid-2000s. I remember them vividly because I was in middle school—a time when it is so easy to succumb to peer pressure—and gaucho pants were the trend of the pre-teen. Even back then I hated them, and it was then that I learned that just because something is trendy it doesn't mean it's a good look. Anyways, I bring up gaucho pants because lately the culotte has made a serious comeback. Upon first glance the culotte and the gaucho pant are virtually the same: wide leg pants/shorts that end anywhere from the knee to the ankle. But the culotte is the chic older cousin of the gaucho pant, and somehow I love it while still despising the gaucho pant. It's all in the material, and, as always, what the culotte is styled with. I'm sure Leandra Medine could have made gaucho pants look stylish with her amazing talent to create unique looks, just as a pair of culottes could go horribly awry with the wrong pairings. In my humble opinion culottes work best with structured box tops and heels. If you want to be daring you can play up the oversized proportions by adding an oversized sweater, but for a polished, work-appropriate look I would stick with some structure and balance. Heels add sophistication to the outfit, but a smart pair of loafers or oxfords could work nicely. 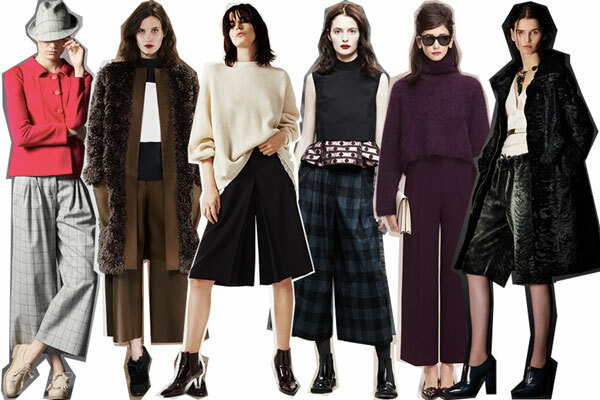 There is certainly potential for cool looks with a pair of culottes. And with winter approaching they're a nice alternative to boring structured pants if you are yearning for a break from them. So what do you think? 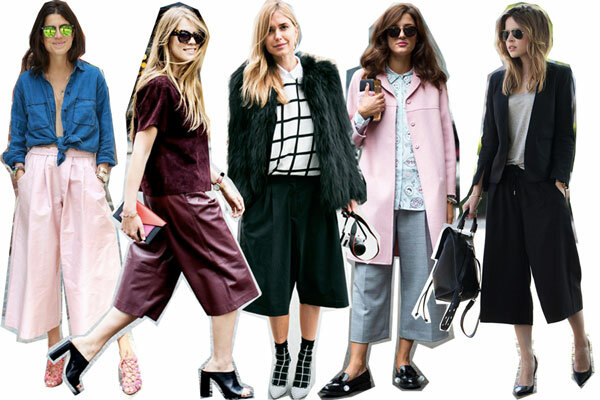 Would you wear culottes?